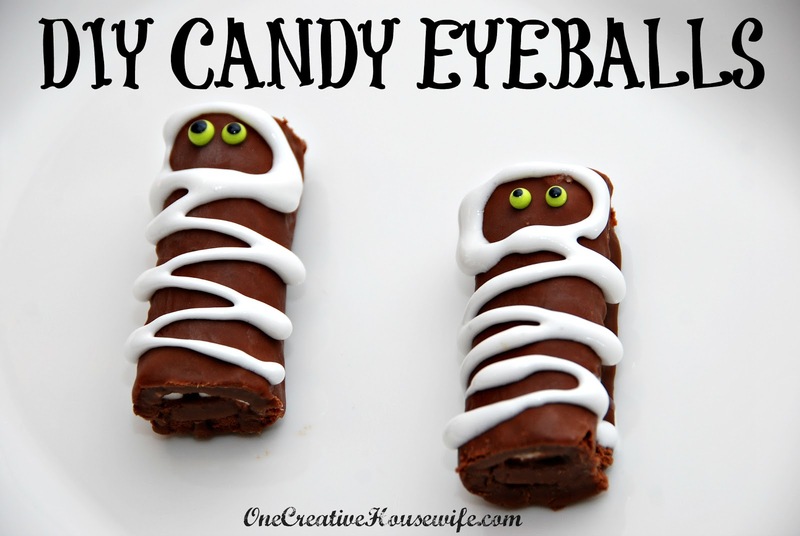 If you are looking for an easy way to decorate homemade or store bought items for Halloween, why not try some candy eyeballs? 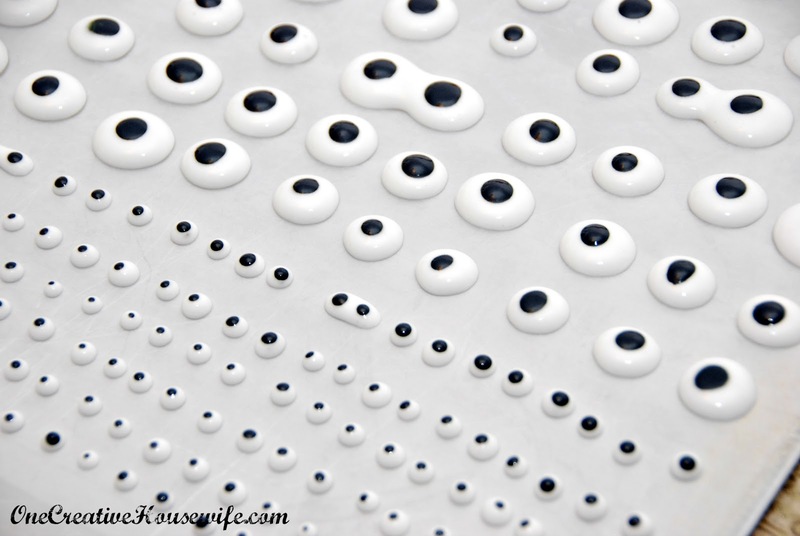 These eyes are made of royal icing, and are super simple to make. You can make them any color you want, and after they dry you can store them for a very long time. You can also use the royal icing to make any shape you would like. Then use the designs you create, just as you would the edible candy shapes in the cake decorating isle at your local craft store. Only these are a lot cheaper. If there is one thing I have learned about royal icing, it is that it does not like oils. So whatever bowls, spoons, decorating tips, etc. you plan on using, rinsing them in vinegar and dry them well before using. 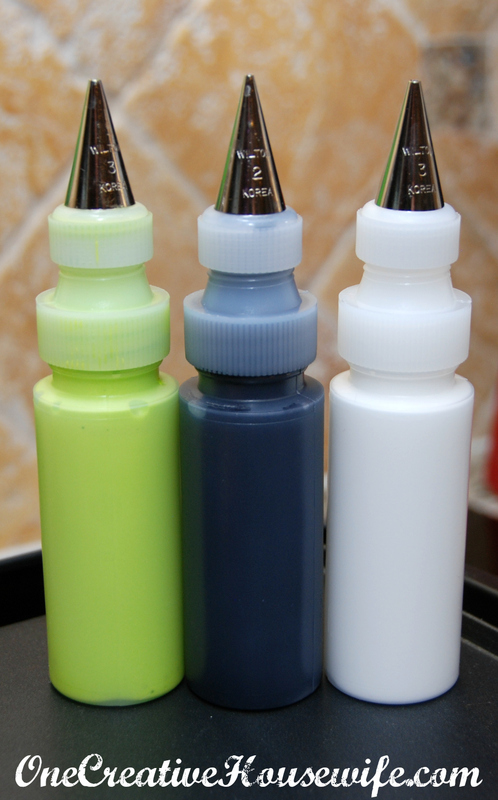 Always use oil free flavorings, and always use gel food colorings. I prefer to use AmeriColor* food coloring. Also please note you will want to make these ahead of time because they take 24 hours to dry! 1. Use a stand mixer (using paddle attachment), or an electric mixer on high speed to combine the meringue powder, and water. Beat until foamy. 2. Add the sifted powdered sugar and beat on low speed until it is all combined. 3. Add the corn syrup, and flavoring. Beat on medium/high speed until the icing is glossy and can hold a stiff peak. 4. Cover with plastic wrap and make sure it touches the icing. It can be refrigerated for up to a week, or divide the icing and color it. 1. I divided my icing into 3 batches (2 larger and 1 smaller). 2. I left 1 larger batch white, dyed the other larger batch with AmeriColor Electric Green*. 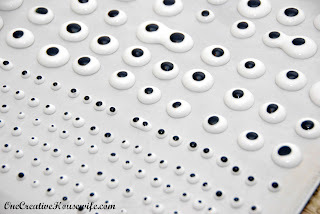 The small batch I dyed with AmeriColor Super Black*, to use as the pupils of the eyes. You could also just wait until your eyes have dried and draw the pupils on with a food marker*. 3. Place a piece of wax paper on a cookie sheet. 4. Thin your icing with a little water. I do this by using a spray bottle of water and mixing a little in at a time until I get the consistency I want. For this project I wanted the icing to be just runny enough to not leave a peak when I pulled the decorating tip away. 5. Place the icing for your eyeballs in a piping bag or squeeze bottle. I like these 2oz. squeeze bottles from CK Products*. I didn't use the tips the bottles came with. I used a size 3 Wilton tip for the outer part of the eyeballs, and a size 2 Wilton tip for the pupil. 6. Squeeze out the outer color in whatever size/shape you want. Then top with a dot of black icing. Make the eyes as big or small as you want. Make them single, double, or triple. Make the pupils big or small, just have FUN! And don't worry the black doesn't bleed. 7. Allow to dry completely. 24 hours is a good rule of thumb, but depending on how big you make them it could take longer. Store these little guys in an airtight container, in a dry place, and they will keep for years. So do not be afraid to make a lot. I got 4 cookie sheets of eyes out of 1 batch of icing. To attach the eyes to something, you can use more royal icing, butter cream icing, or honey. So happy you like them. Thanks for stopping by and following! !